Topics: In Stores, Submit, Events, and Extracts. 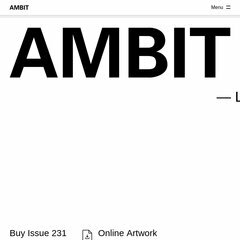 ambitmagazine.co.uk blog | Ambit magazine | a 96 page quarterly magazine that features ..
44 users visit the site each day, each viewing 1.60 pages. iambicarts.com Welcome to the Iambic Arts Theatre, Brighton – the little .. It has 2 DNS records, ns2.hosteurope.com, and ns.hosteurope.com. It is hosted by Atls-lb (England, Leeds,) using Apache web server. It is written for PHP/5.2.16 language.